Mercedes-Benz is suing four artists over outdoor art used in the automaker's Instagram posts. 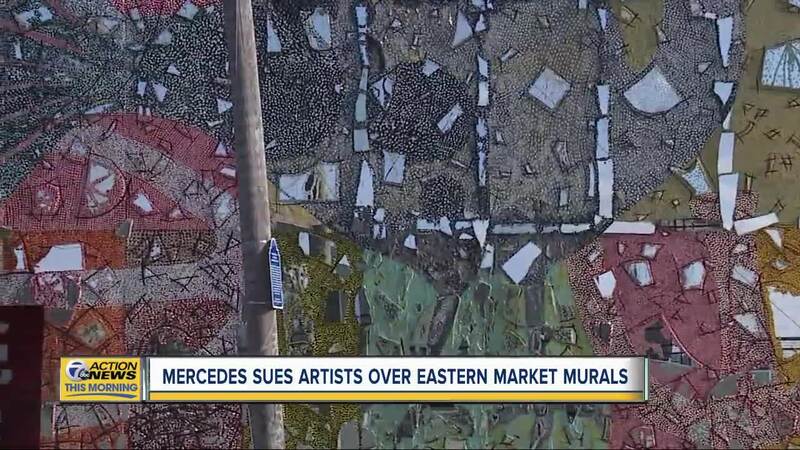 DETROIT (WXYZ) — Mercedes-Benz is suing four artists over outdoor art used in the automaker's Instagram posts. The posts featured photos of the Mercedes G 500 shot at Detroit's Eastern Market, featuring murals and graffiti by street artists in the background. Mercedes is claiming the artists contacted the automaker last month, threatening to file lawsuits for copyright infringement for using their art without permission. Mercedes said it immediately removed the posts out of courtesy, but reportedly continued to be the target of what the company calls an "aggressive shakedown" by the artists. According to the lawsuit, one of the artist's attorneys continued making threats against the company once the post was taken down, claiming the artist desired to "expose" the company. In each of the lawsuits, the automaker is seeking a judgment of non-infringement and fair use. We stand firm that the copyright of the artwork always belongs to the artist, unless the artist decides otherwise. In the case of these four murals involved in the Mercedes lawsuits, the artists own 100% of their copyrights. We side with the artists and will help fight against corporations who don't act responsibly or respectfully. In this case, it is particularly offensive as Mercedes has contacted us in the past to license other works for similar advertisements, so we don't understand why they allegedly felt these works should have been handled with any less amount of care. James (Dabls), Jeff, Daniel, and Maxx are beloved artists and respected members of our community and the idea that Mercedes would file lawsuits against them seeking to use their artwork without paying them is absolutely abhorrent and unacceptable.